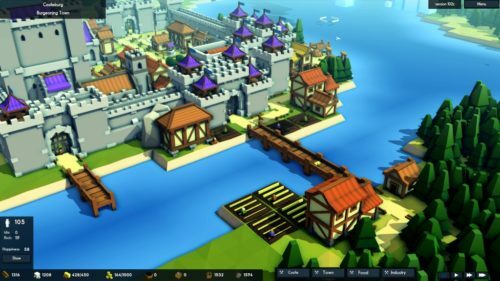 Kingdoms and Castles is a medieval city building game where you construct castles to protect your peasants from a living and dangerous world. Dramatic stories will play out in your kingdom based on decisions you’ve made. Do the viking raiders make off with your villagers? Or are they stopped, full of arrows, at the castle gates. Does a dragon torch your granary, your people dying of starvation in the winter, or are you able to turn the beast back. 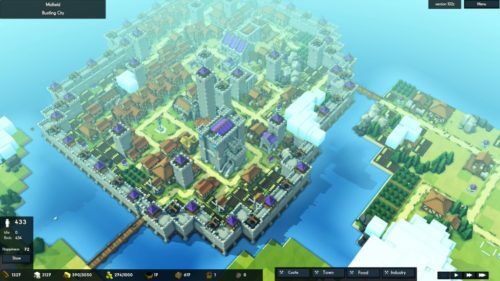 Your success as a ruler depends on your city and castle planning. — Living World — The world contains a season cycle and procedural cloud system. — City Design: — It is imperative to design your town’s layout in a way that increases your Peasants Happiness, but also allows you to gives you the ability to tax as you see fit. — Fortify: — Your land is always stake and danger is always lurking just around the corner. Be on the watchout for Viking invasions.